As federal officials hint at overwhelming changes in how state health programs will be funded in the future, policymakers are strategizing how to reconfigure their programs to take advantage of the promised brave new world of flexibility and realigned funding. The National Academy for State Health Policy (NASHP), the de Beaumont Foundation, and the Association of State and Territorial Health Officials recently convened a small group of state health policymakers from 11 states to strategically address opportunities and challenges that may result from changes to the federal funding landscape. 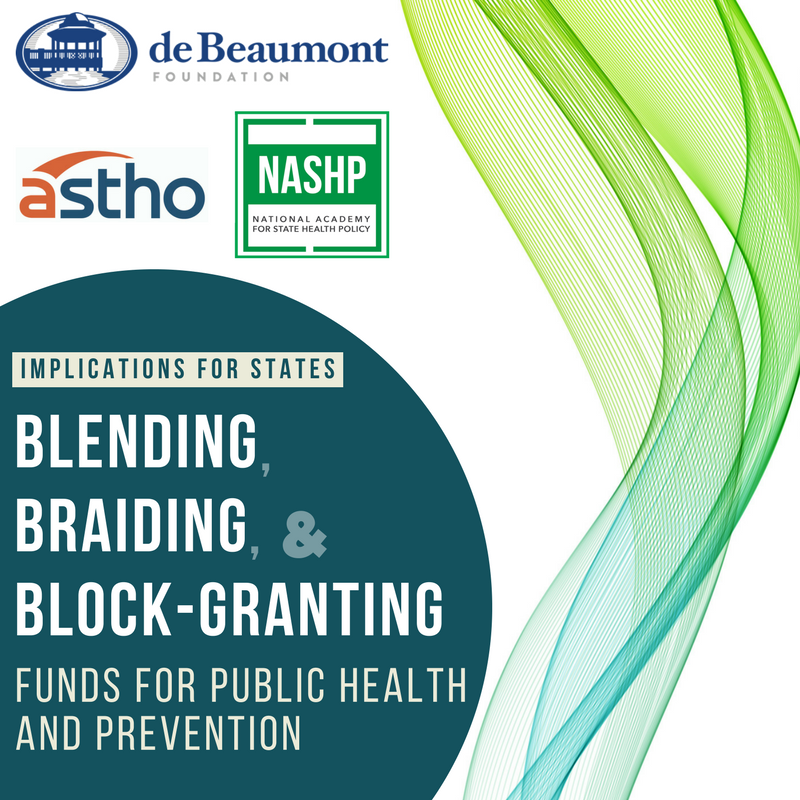 The meeting produced a new paper, Blending, Braiding, and Block-Granting Funds for Public Health and Prevention: Implications for States, that charts a way forward for states interested in coordinating work and resources across programs. “This paper is an important and much needed resource for state officials seeking to improve health and health equity by investing in building stronger, healthier, and more resilient communities during this time of change,” said Ana Novais, executive director of health at the Rhode Island Department of Health. To learn more about Rhode Island’s innovative financing to advance health and health equity, read this blog. The 2017 annual NASHP state health policy conference also addressed braiding and blending funds for improved population health. The session, presented in partnership with the de Beaumont Foundation, featured officials from Rhode Island, Louisiana, Vermont, and South Carolina. Each state uses innovative braiding or blending models to address population health and non-clinical health needs through programs such as supportive housing and nurse home visiting for low-income first-time mothers. Read more.